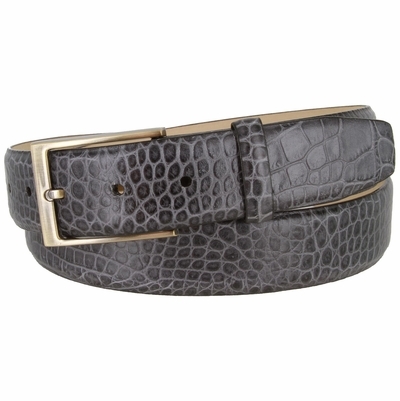 Genuine Italian Calfskin in Alligator Embossed Casual Dress Leather Belt. Belt is 1-3/8" = 35MM wide with 7 adjustment holes. Brushed Brass Buckle with Matching Loop and Feathered Edges.